The study of politics is the study of power in society—who has it, who doesn't, how it is distributed, and why. We ask the big questions: What is a just society? How do we hold those in power accountable? Why do some democracies thrive, while others fail? 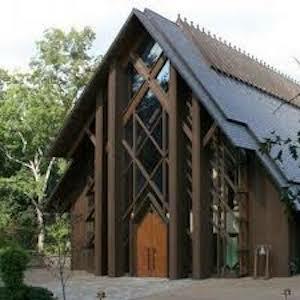 Why study Politics at Sewanee? 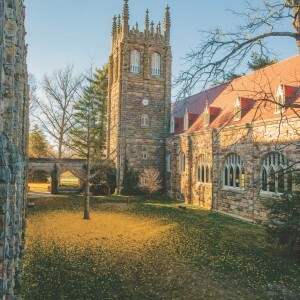 Sewanee teaches its students to be citizens who ask hard questions, assess the accuracy of political information, and make comparisons between various political systems and ideologies. Politics faculty are active scholars and committed mentors. Students may work with faculty on research or develop their own projects. 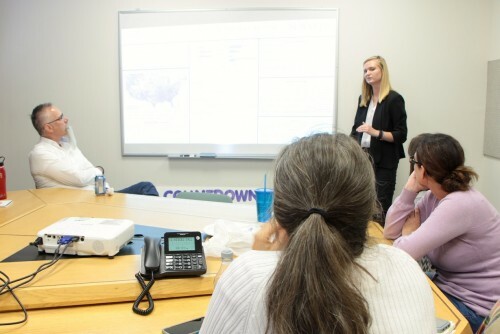 Faculty members consult with students to identify summer internships, the best study abroad or community engagement opportunities, and other activities that prepare students for success after graduation. Massachusetts Promise Scholar, Freedom House, Dorchester, Massachusetts. Legislative intern, U.S. Senate Committee on Foreign Relations, Washington, D.C.
Legal assistant, Morgan and Morgan, Nashville, Tennessee. Investment banking analyst, the Lenox Group, Atlanta, Georgia. Intern, Human Rights Program, the Carter Center, Atlanta, Georgia. Advisor, United Nations (Permanent Mission of Hungary), New York, New York. J.D. the University of North Carolina School of Law. J.D. the University of Michigan Law School. Ph.D. in political science, Emory University. "Forget the blue wave. Let’s talk about the wave of newly elected women across federal, state and local government. Last night, a record number of women were elected to the U.S. House of Representatives. Among them were many notable firsts at the intersections of race, ethnicity, religion, sexual orientation, and generation. The election of these women serves to highlight women’s diversity and challenge the “women as monolith” narrative that permeates the punditry. Most of these women ran as Democrats, a feature of women in politics we have come to expect. However, many of them did not make their status as a woman or a woman of color the central focus of their campaigns. Perhaps they learned from Hillary Clinton’s failed attempts to build a gender consciousness that would propel women to the polls. Or, perhaps they wanted to focus on the issues with the knowledge that their status as a woman or as a woman of color was evident to voters. The success of women in 2018 is inspiring, but it should not cause us to lose focus on the continued underrepresentation of women across all levels of government." 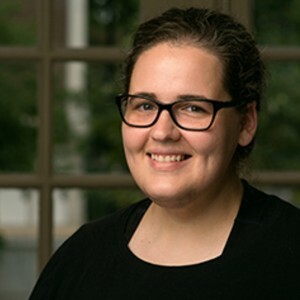 Assistant Professor of Politics, Carrie Skulley’s research and teaching interests focus on exploring the ways in which historically marginalized groups gain access to government. Peace and Diplomacy covers the strategies for prevention of violence, conflict resolution, transition from violence to diplomacy, and post-conflict reconstruction. This course also prepares students for careers in international politics, diplomacy, or U.S. Foreign Service. Students address questions such as why income and wealth inequality in the United States continues to increase over time, how the criminal justice and education systems perpetuate racial inequalities, and why rural Americans continue to experience such high poverty rates and poor health outcomes. This course helps to prepare students for careers in domestic public policy, education, and criminal law. Students in global gender issues study contemporary cases to analyze the many ways in which access to justice and basic human rights, and the distribution of political power in a society can be conditioned by one’s gender interacting with other social identities like ethnicity, social class, and religion. This course helps to prepare students for careers in international public policy, human rights law, and international development. This course examines Supreme Court cases related to equality by situating cases within varying theories of constitutional interpretation and by assessing the socio-political implications of those decisions. Civil rights are specific governmental provisions to secure individual entitlements, as exemplified by the Fourteenth Amendment's guarantee of "equal protection of the laws." Claims centering on race, gender, sexual orientation, and disability are examined, along with other claims of equality arising from the Fifteenth Amendment's prohibition of voting discrimination. The Constitutional Law course helps students prepare for careers in law, government, and public policy. 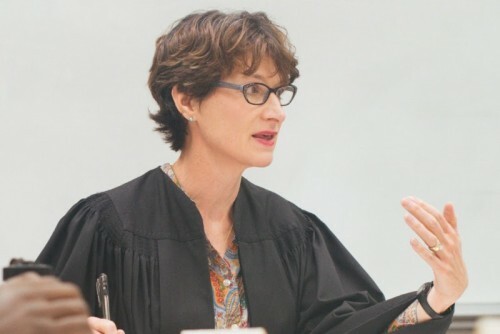 Professor Hatcher teaches about American political institutions—Congress, the presidency, and the courts, including a series of Constitutional Law courses (Civil Liberties, Civil Rights, and Balancing Powers). Her senior seminar, Religion and American Politics, was instrumental in shaping her ongoing research agenda about British Evangelicals. She has published The Political and Religious Identities of British Evangelicals (Palgrave Macmillan, 2017) and is currently researching the politics of black majority churches in the U.K.
Rodelio (Rae) Manacsa is working on the areas of international security, human rights, and comparative judicial politics. He teaches courses on Human Rights, International Law, Terrorism and Global Security, International Security, European Union, and Introduction to World Politics, among others. 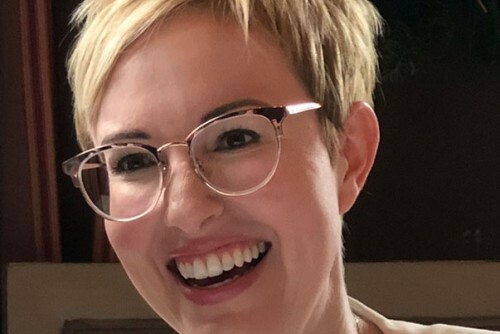 Amy Patterson is an Africanist with expertise in democratic participation and global public health. She is a frequent contributor to the Washington Post's "Monkey Cage." Her research is field-based, taking her to countries such as Liberia and Uganda to interview health providers and citizens about critical issues such as how best to confront outbreaks of deadly viruses like ebola. 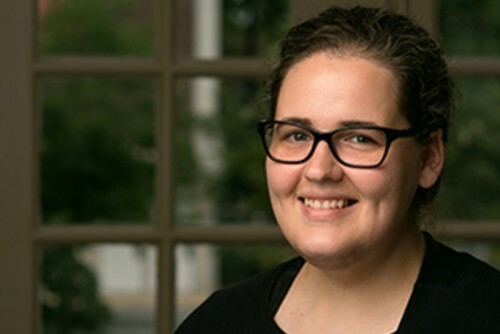 Carrie Skulley’s research and teaching interests focus on exploring the ways in which historically marginalized groups gain access to government. To gain a better understanding of these groups’ inclusion in (or exclusion from) government, Skulley examines the behavioral, electoral, and institutional conditions that make government more (or less) permeable. Her work appears in Political Research Quarterly and Politics, Groups, and Identities. Scott Wilson directs the Office of Global Citizenship and helps to lead globalization initiatives on campus. In 1985, he studied abroad in China, just as it was opening up its economy and society, and was so taken by the experience that he made Chinese politics and economy the focus of his research. He has lived in China for more than six years, mainly to conduct research including living in two Chinese villages for 10 months. He has published two books, "Remade in China: Foreign Investors and Institutional Change in China" (Oxford, 2009) and "Tigers Without Teeth: The Pursuit of Justice in China" (Rowman and Littlefield, 2015) and ten articles and book chapters, all on China. In 2014-15, he received a Fulbright research award to conduct research at the Research Institute on Environmental Law at Wuhan University’s Law School. During that time, he continued his study of citizen participation in Chinese environmental governance. His research and teaching have focused on China’s engagement with the global economy and citizens’ pursuit of their legal rights in China. In 2018, he began a new project with Professor Deborah McGrath (biology) to train students in water pollution analysis and survey research in China. 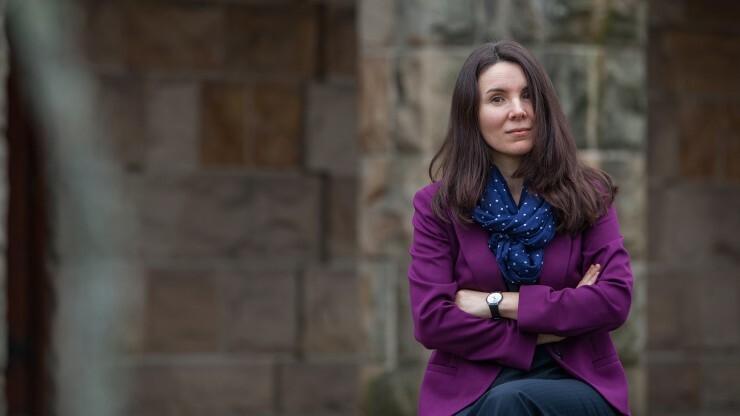 Informed by her own personal history, Associate Professor of Politics Mila Dragojevic travels the world to examine the conditions that lead to refugee crises, violence against civilians, and genocide. At 16, Mila Dragojevic was an ace student in languages in her native Croatia. She had studied French, German, and English and had the idea that she would be a philologist. She applied to a student exchange program and was deciding whether to go to Switzerland, the United Kingdom, or the United States. That’s when the Balkan state she called home began falling apart, with neighbor turning against neighbor in a conflict that resulted from the breakup of Yugoslavia and the geopolitical aims of Slobodan Milošević, who incited Serbs in Croatia in an attempt to expand Serbian territory. Dragojevic and her family found themselves refugees. Though living in Croatia and having both Serb and Croat roots, the family identified as Serbs. They crossed the border to Serbia. But Dragojevic—already accepted in the student exchange program—was not there long, heading shortly thereafter to the Tidewater region of Virginia, where she was welcomed by a host family with whom she is still close. “When the barricades go up, people have to decide which side they stand on,” says Dragojevic, who studies refugees, violence against civilians, and genocide as an associate professor of politics at Sewanee. After enrolling in a public policy class with Assistant Professor of Politics Dr Joyanna Hopper, Kelsey Arbuckle, C'19, found her passion. Arbuckle has worked on a number of projects under Dr. Hopper's guidance, and she conducted and presented original research in partnership with the National Diaper Bank, a non-profit that seeks to address basic needs for low-income families. Arbuckle’s research assesses the effectiveness of messaging strategies directed at various stakeholders. Paige Williams, C’18, (fourth from left) interned at the Jimmy Carter Presidential Center in Atlanta, Georgia, rated one of the top pre-professional internships in the country. 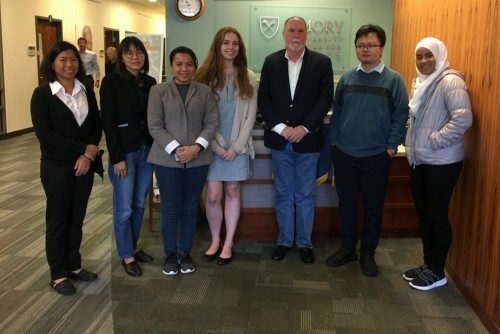 She was hired by Emory University’s Center for Ethics shortly thereafter, where she facilitated a half-day workshop for Thai human rights activists on behalf of the U.S. Department of State. Williams will begin her graduate studies in international affairs in the fall of 2019, and has been accepted at some of the top graduate programs in the country! 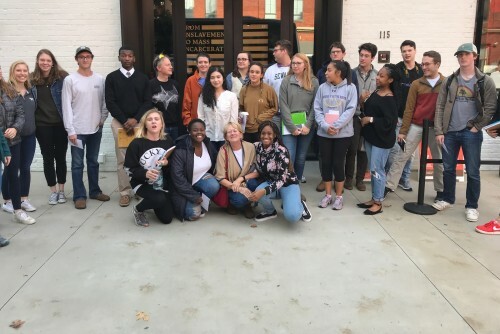 Professor Paige Schneider’s Politics of Poverty and Inequality class went on a field trip to the Equal Justice Institute’s Legacy Museum and the National Memorial for Peace and Justice in Montgomery, Alabama, to learn about the history of racial injustice in the United States spanning from slavery to mass incarceration.